Unrest spilled out onto the streets of several Middle East cities Sunday. Protesters took to the streets of several Middle East cities Sunday in response to President Donald Trump's declaration that the U.S. would recognize Jerusalem as Israel's capital, rather than Tel Aviv, and move the U.S. embassy there. Demonstrations in the West Bank city of Ramallah and in Heron led to clashes with Israeli troops. 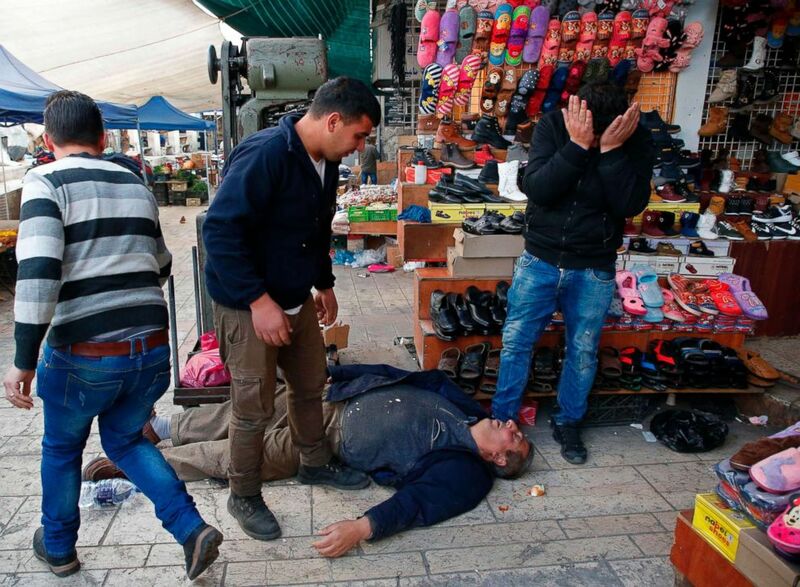 (Hazem Bader/AFP/Getty Images) A Palestinian man lies on the ground after being wounded during clashes with Israeli security forces in the city center of the West Bank town of Hebron, Dec. 10, 2017. 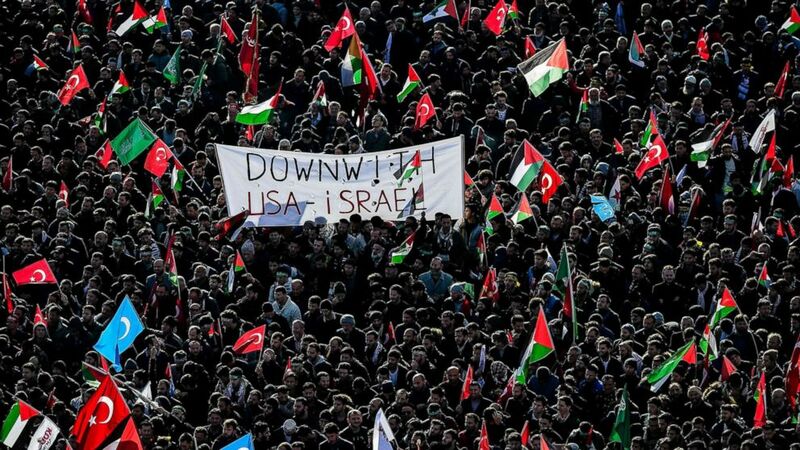 (Yakin Akgul/AFP/Getty Images) Pro-palestinians protesters chant slogans against U.S. and Israel as they wave Turkish and Palestinians flags, Dec. 10, 2017 during a demonstration in Istanbul. The move has been criticized by numerous countries including the United Arab Emirates, Kuwait, Qatar, and Saudi Arabia, which are all seeking a reversal of the decision. And on Sunday, the Arab League met in Cairo and announced its intent to seek a U.N. resolution to reject the Trump administration's position, as Palestinians contend that East Jerusalem should be their future capital. Protests were confirmed in Karachi, Pakistan to Istanbul, Turkey and lingered along a road near a U.S. embassy in Awkar, Lebanon. 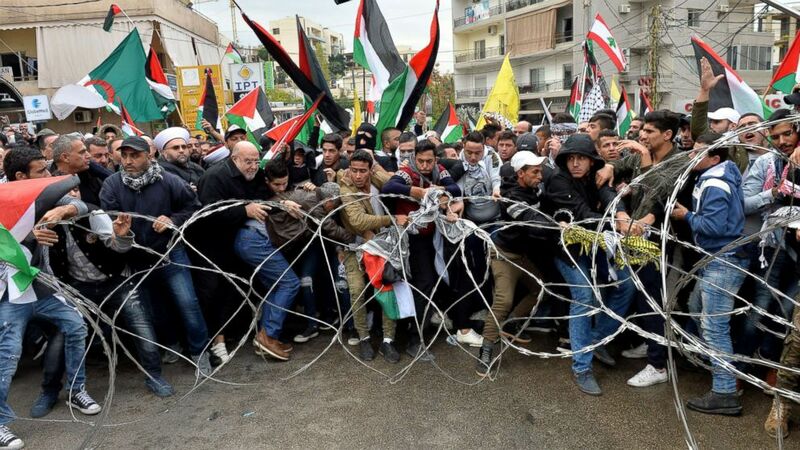 (Wael Hamzeh/EPA) Protesters try to remove barbed wires that block a road near the U.S. embassy during a protest against President Donald Trump's decision to recognize Jerusalem as the Capital of Israel, in Awkar, east of Beirut, Lebanon, Dec. 10, 2017. 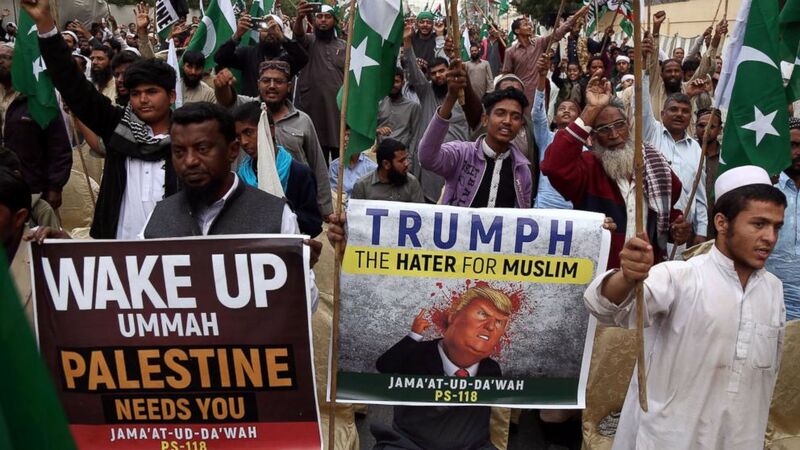 (Rehan Khan/EPA) Supporters of banned Islamic charity Jamat ud Dawa attend a protest against President Trump's decision to accept Jerusalem as Israel's capital, in Karachi, Pakistan, Dec. 10, 2017.